53 minutes. NSFW (some swearing and adult themes). 1 hour 11 minutes. NSFW. 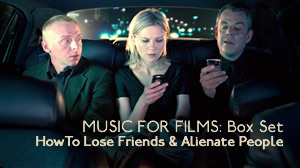 Tim Concannon and Shruti Narayanswamy discuss director Robert (‘Mother Night‘) Weide’s film based on Toby Young’s book, starring Simon Pegg, ‘How to Lose Friends & Alienate People‘. At the time, Kirsten was going out with Johnny Borrell, the lead singer of Razorlight, and towards the end of the evening I found myself talking to the band’s drummer. We were in mid-conversation when a man I can only describe as Razorlight’s ‘entourage wrangler’ approached and gave us the secret number to call in order to be admitted to the pub in Camden where Johnny, Kirsten and co were heading for an all-night drinking session. 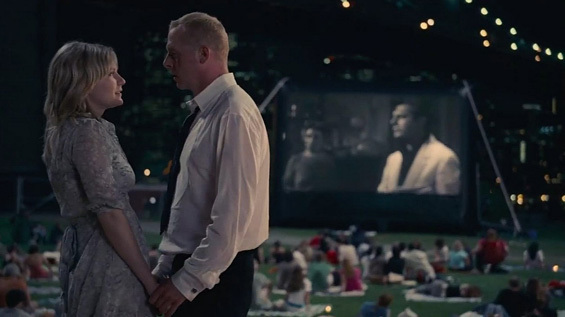 ‘No you’re not,’ he said. Who knows, if I had been allowed to go to that pub in Camden Town I might have formed a lifelong bond with Kirsten. Instead of banning me from the set for talking out of turn, she would have insisted I remain by her side the entire time and, whenever she was in any doubt about a scene, turned to me and sought my advice. Then again, given my track record, Stephen probably made the right decision. The final scene of ‘How To Lose Friends And Alienate People’ is filmed in Brooklyn Bridge Park, Furman Street, Brooklyn. 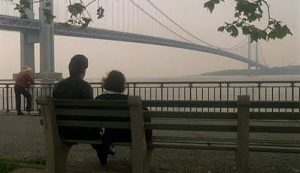 In ‘Saturday Night Fever’ Tony and Stephanie sit on a bench in John Paul Jones Park, 101 Street Shore Parkway, Brooklyn, facing Staten Island and overlooking the Verrazano-Narrows Bridge (of course), which foreshadows Bobby’s fall from the bridge at the end of the movie. 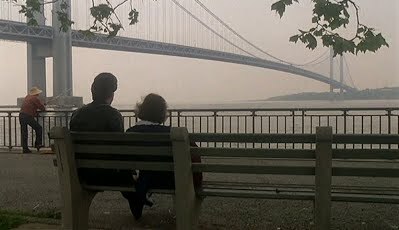 The confusion stems from the previous shot to the one filmed in John Paul Jones Park being of the Brooklyn Bridge, Tony having driven Stephanie’s stuff over it to her new apartment. 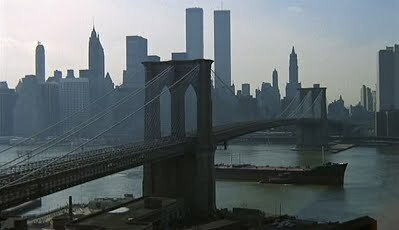 The two Brooklyn parks overlooking bridges are 8 miles apart. Tim has blogged some more about this here.